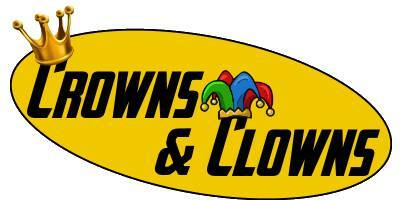 Hello and welcome to Castle de 'Quin's special edition(s) of Crowns and Clowns where we break down the Bests and Worsts of the entire playoff series. 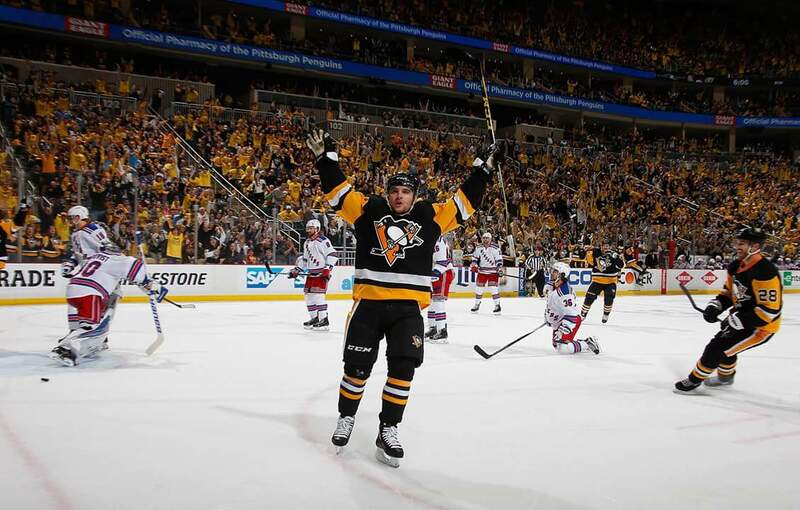 As if we couldn't get enough of them in March, the Penguins had to do battle with the Rangers in the opening round and it started with drama, and more drama, and did I mention drama? From not knowing who was starting where, who is injured and who isn't, to playing the "Who's In Net" game every other day, the fact that the Penguins are now moving on to the next round is a sigh of relief. After having a (beautiful spring) day to let my brain and battery recharge, let's dive into Crowns and Clowns: Playoff Edition. High King: There is no way to chose JUST ONE stand out of this series. To beat the Rangers, it takes an entire team effort. That is exactly what the Penguins put on the ice. There isn't much more that can be said- this team is continuing to beat the odds and turn the tides in their favour. Veteran stars are back up to form (including those no one would have expected) and a new crop is rising as fast as Carl Hagelin's feet. 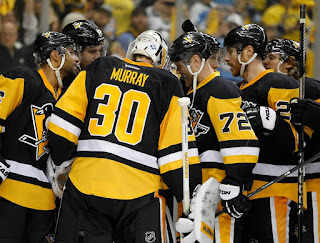 Smart, hard, exciting hockey- what a time to be a Penguins fan. Great series, boys. The Princess could not be prouder of her Black (and Yellow) Knights. Prince: You give him whatever nick name you want, but to me, he is Bryan Rust- The Tasmanian Devil (aka Taz). He was basically the "underdog" of the Wilkes- Barre/ Scranton call-ups. Some said he wouldn't make that much of a stir. They called me "crazy" when I talked about the potential I saw in him. WELL WHAT DO YOU HAVE TO SAY NOW? I am just going to leave these following examples and try to keep the "I told you so" at a minimum. Add in an assist on the Matt Cullen goal and being the FIRST Rookie in Penguins history to record at least three points in a playoff game (yes, that's right...not even Sid or Mario can claim that honor) and what do you have- you have Happy Taz in a Viking Helmet. Arch Duke: Once again I find myself having to add another nobility title. It's a nice problem to have. So, remind me, how does the phrase go? "Don't tick off the bear or he will eat you?" Something like that? Well, in this case when you tick off the Russian Bear, Evgeni Malkin, he won't eat you, per say. Just any hope a team would have of moving on to the next round. The Power Play is once again on the up-swing and the only thing that can be said is "THANK YOU HOCKEY GOD for giving back our Geno!" I questioned it- I will 100% admit it. I questioned putting him back in the line-up and that is why I write and not coach. I am so sorry, Geno, for ever doubting you and your greatness (which are displayed below). Duke: Size is no measure for impact. Dynamite comes in small amounts too, and it still goes BOOM! You need look no further for that example than Mr. Conor Sheary. The kid is electric. Now on a line with Sidney Crosby, he has done nothing if not flourish even more. His confidence is sky-high, his shot is a laser, and his celly puts doubters to shame. Yes, Conor, we are indeed! The Bozo: Bozo's can come in many forms. They need not only be players. Fans can fall into the category as well. Case and point- Hat Girl! Yes, for lack of something better to call her, Hat Girl has taken the #1 spot for the series. 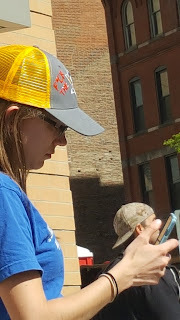 She not only spent money on a brand new Penguins hat (thanks for the, I'm sure, unintentional support of their marketing sales), she also bought puffy paints to deface it with. Alas, her money and (not fully thought out) plan was all for not, as the Rangers were eliminated in glorious fashion and those of us outside watched, in half horror/ half glee, as she threw the hat in the trash and stomped her way to the closest bar to drink away her sorrows. It's okay, Hat Girl, we have been there. The feeling will pass in time, but it does not save you from being immortalized as Bozo of the Series. 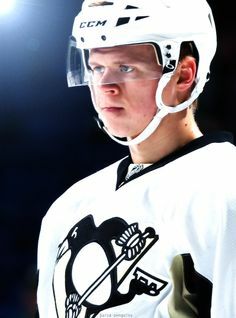 The Simpleton: Oh our dear, sweet Prince, Olli Maatta. What is wrong?! It seems our Finnish flame has lost his feet. For some reason, even with Letang, he seems kind of lost and a step behind everyone else. He is playing alright generally speaking but something just still seems off about our blonde beau (and I don't mean Bennett). Is it a lack of conditioning due to not playing much? Is it the anticipation of his upcoming stint in the Finnish Army? Please be okay, Olli, because I really didn't want to put you on this list. The Jester: Being confident is important in anything competitive. You have to know you can do what is being asked of you. However, being over-confident to the point to where its cocky can usually lead to ones undoing. Mr. Lundqvist....you are indeed an Elite goalie. You have garnered much respect throughout the NHL and the hockey world and that respect does not go away even though you find yourself here. In fact, you may be more respected for taking the series loss like a man. This does not excuse the fact that you are a DRAMA QUEEN on the ice and thus will have to change your game strategy (or grow a thicker skin) for next season. Your weakness has been exposed and exploited and you have no one to blame but your own team. They call you the King. You may be in New York City, but this is our domain, our kingdom, and MY Castle De 'Quin. Bow down, sir, because you have been dethroned. Rest up everyone, because round two is right around the corner.